SlugFest Games - The Red Dragon Inn 6: Villains – Now Available! Greetings, Red Dragon Inn fans! 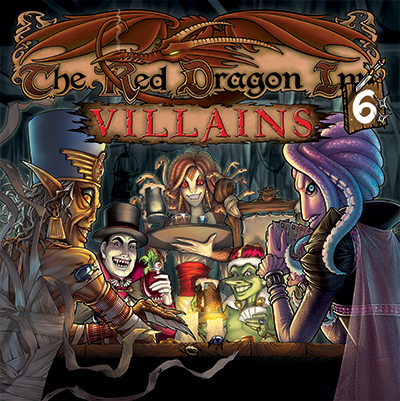 In case you haven’t already heard, The Red Dragon Inn 6: Villains is taking taverns by storm and is available now! Pick your copy up today at your friendly local game store or order it from us here on our website. And because of our preorder deal on Adonis vs. The Lich King, we’re offering free US shipping on all orders placed through our web store until November 30th! If you want to see what all the fuss is about, you can check out our character walkthrough videos for each of the new villains on the new Red Dragon Inn 6 Resources page or get a great overview of the game on its product page. Conveniently, you can order straight from there if you decide you like what you see!